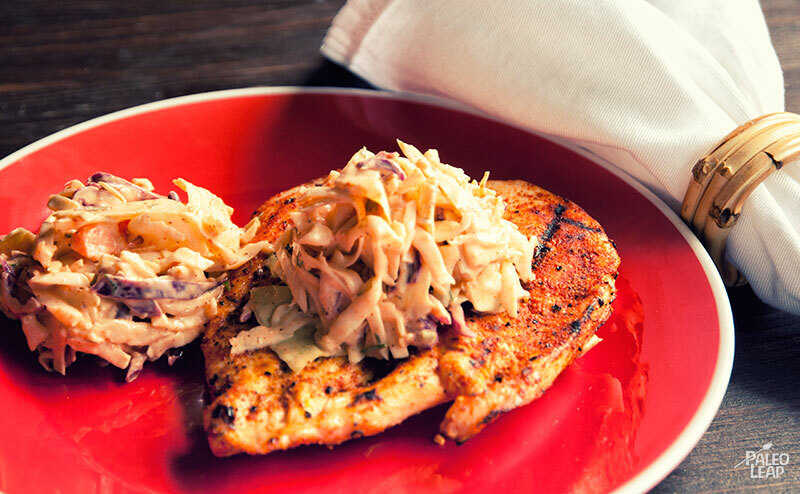 Chicken with coleslaw is a no-frills comfort food classic, and perfect for summer when a cooler side is just what you want. To put a special twist on the recipe, this version uses a buffalo ranch sauce instead of just mayonnaise for the slaw: on top of a paprika rub for the chicken, it adds a bolder taste to the final dish. You can also play with the amount of hot sauce you use. 2 tablespoons will give you a bit of a kick; if you like it really spicy, you can ramp it up all the way to ¼ cup (4 tablespoons), or tone it down if spicy isn’t your favorite flavor. And don’t be shy about mixing things up with the cabbage, either: if you like a little more color to your slaw, just throw in a mix of red and green cabbage. Bring it to a picnic, or just keep it all for yourself and enjoy a classic taste of summer. In a bowl, combine all the ingredients for the buffalo ranch sauce. Season to taste with salt and pepper and stir well. In another large bowl, combine the cabbage, carrot, and buffalo ranch sauce. Cover and keep cold. 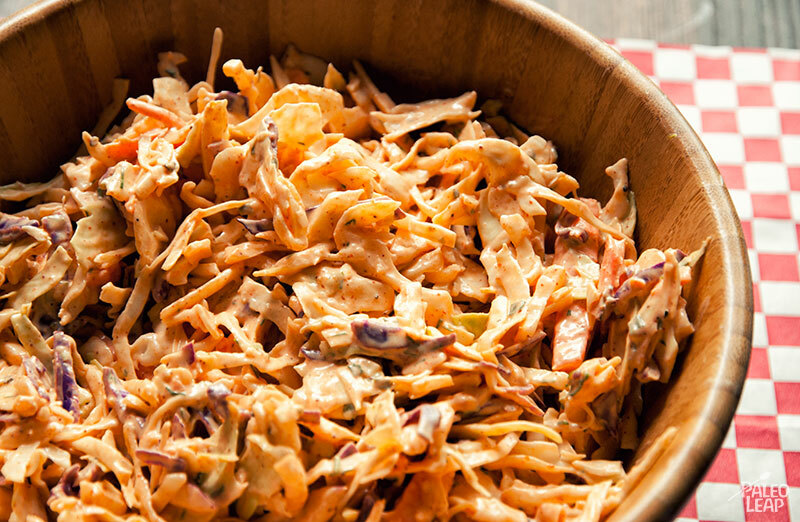 If you’re making the coleslaw only, you can stop here and enjoy. In a small bowl, combine the paprika, garlic powder, and salt and pepper to taste. Coat the chicken breasts with the paprika seasoning. Cook the chicken on the pre-heated grill for 10 to 12 minutes per side. Top the chicken with the coleslaw and serve.